In line with this, we have here a rundown of various templates and designs that are of great quality and design. Drafting collection letters can be dragging and a stressful endeavor for some. 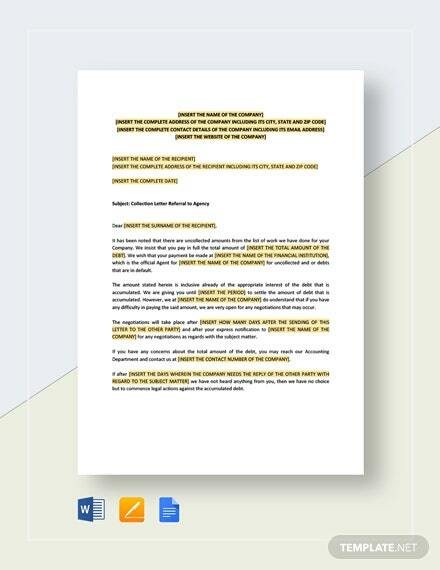 To have a hassle-free writing experience, you can easily download and check out our templates. Aside from them. You may also see Letter Samples. Objective. 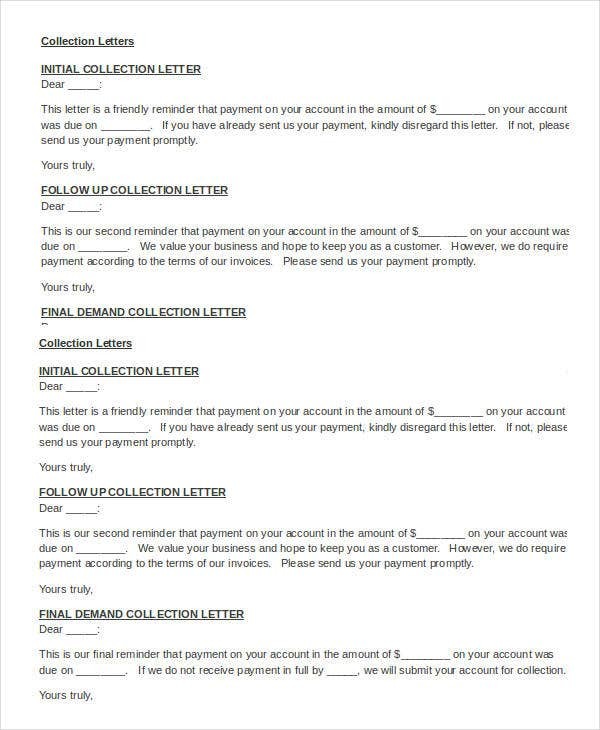 The most basic intention and objective behind a collection letter is to remind and collect the demandable dues from the customers. Parties involved. This refers to the parties involved in the said transaction. This can refer to the buyer and the seller. The buyer is the one who buys the credit while seller are involved in the collection part of the dues. Series of letters. Collection letters are mostly in written in a certain series. 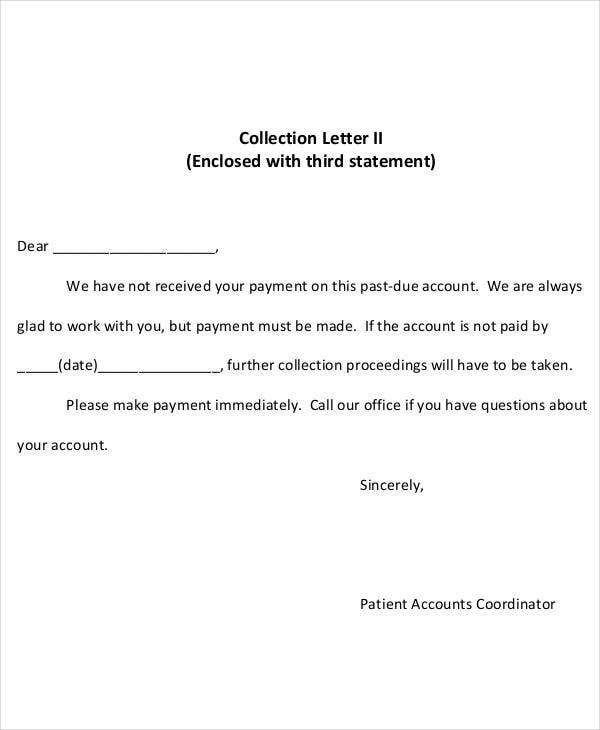 The series usually includes the remainder letter, inquiry letter, urgency letter, and appeal. They basically represent certain stages and process in the course of the said collection. Threat for legal action. 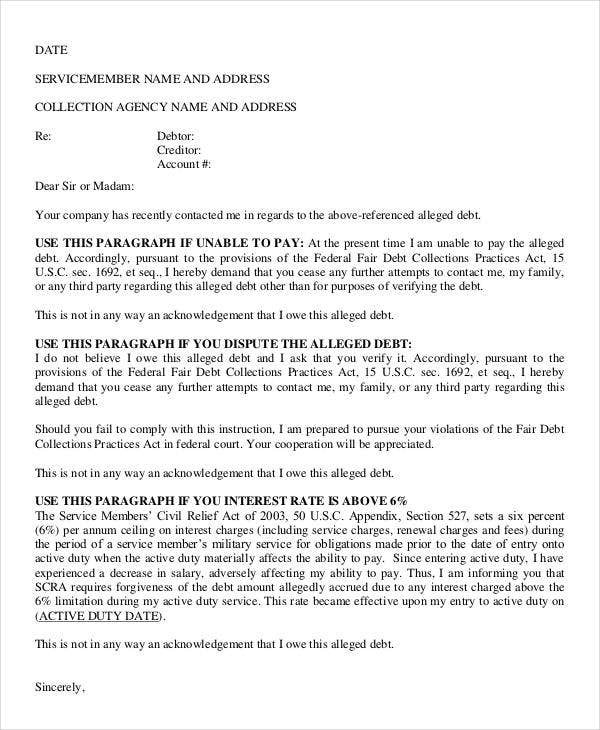 Basically, it is the last letter of collection letter series, which states the legal warning. It will warn the customer that the matter has been handed over to the lawyers for necessary legal action. 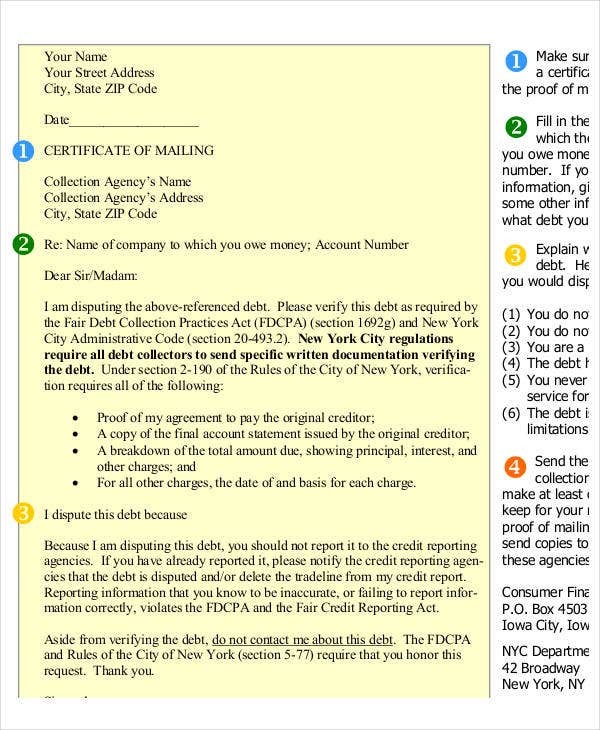 These are just some of the basic features of a collection letter. There are still more. Feel free to check them out. 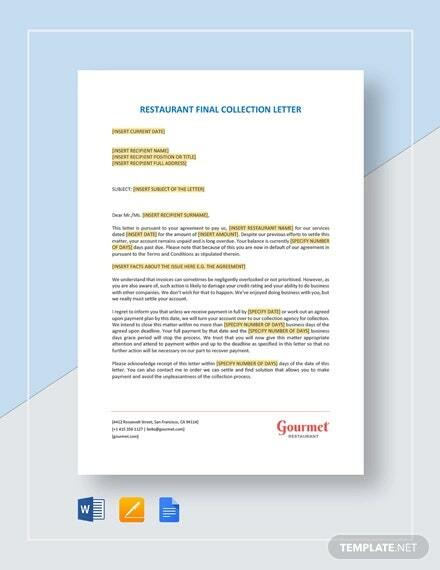 If you’re looking for Thank-You Letter templates, we also have templates available for you. The best letters are short, specific, and a simple read. Abstain from utilizing long or confounding words and sentences. 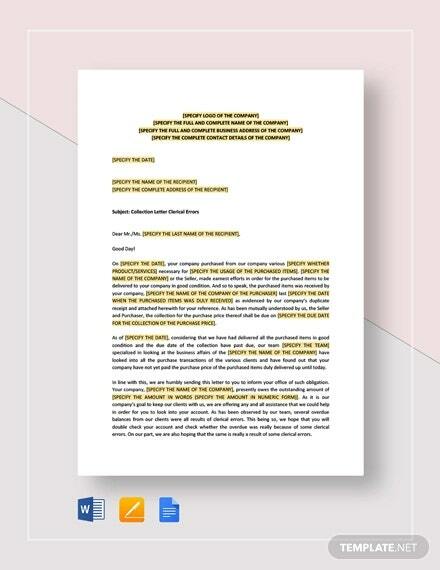 An immediate letter diminishes false impressions. Recommend an answer. 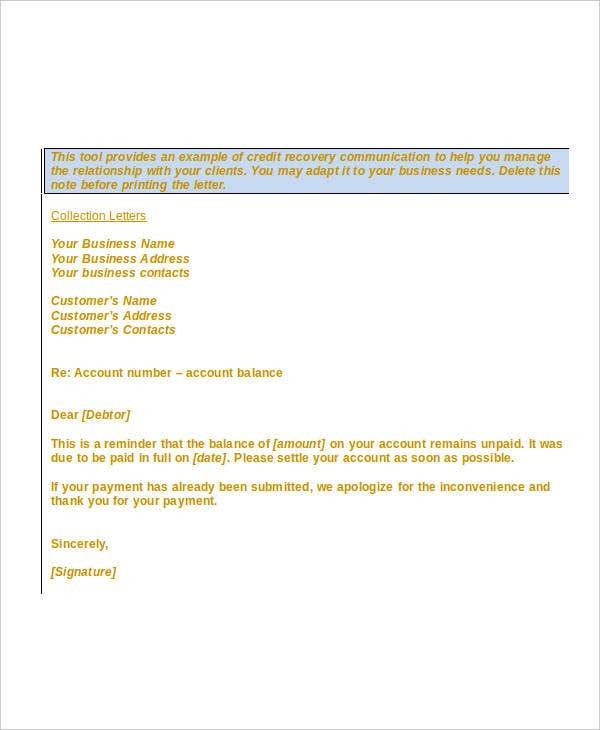 Always ensure that the your letter clearly states that it requires a certain urgent respond and answer. Keep it professional and positive. Always use a positive tone. Always keep in mind that your letter represents yourself or your company for that matter. Avoid using negative terminologies. 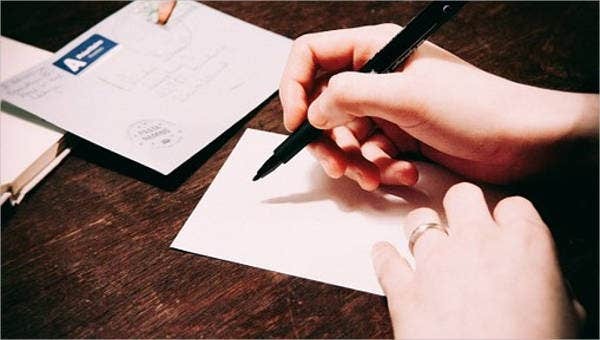 Your letter is an impression of your business, so keep it proficient. 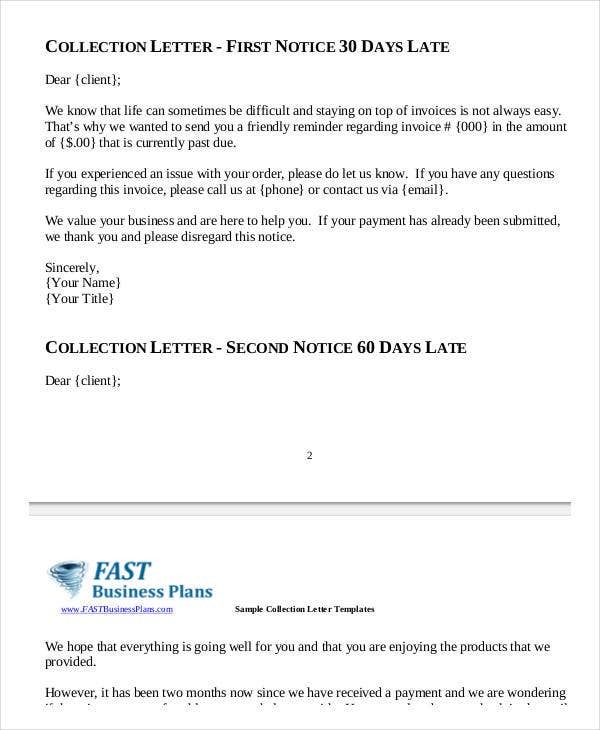 Keep in mind, the motivation behind the letter is to influence somebody to send you cash. 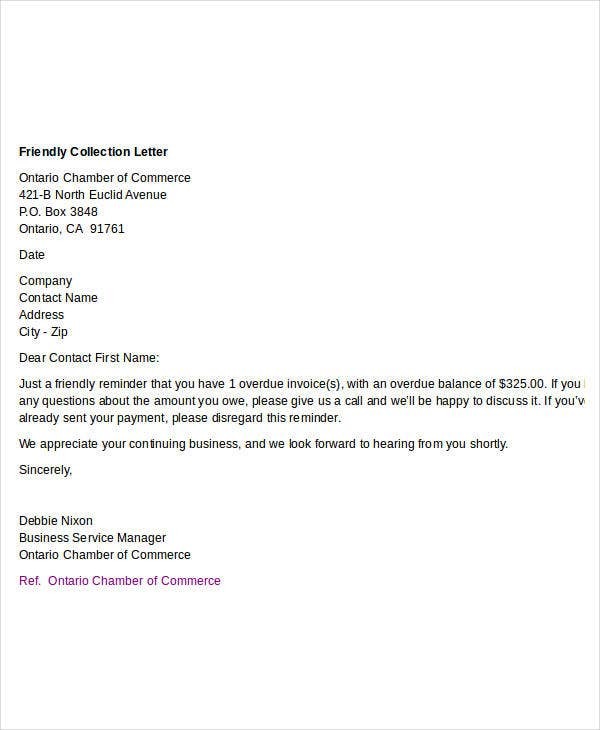 Hence, these are just some tips that you may consider in order to make your collection letters for effective and efficient. 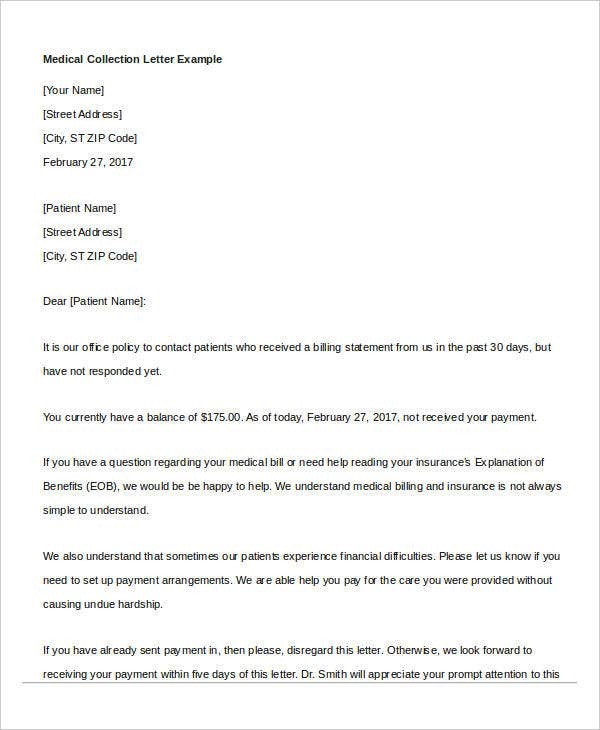 Aside from them, we also have Pending Payment Letter, which are also of great quality.